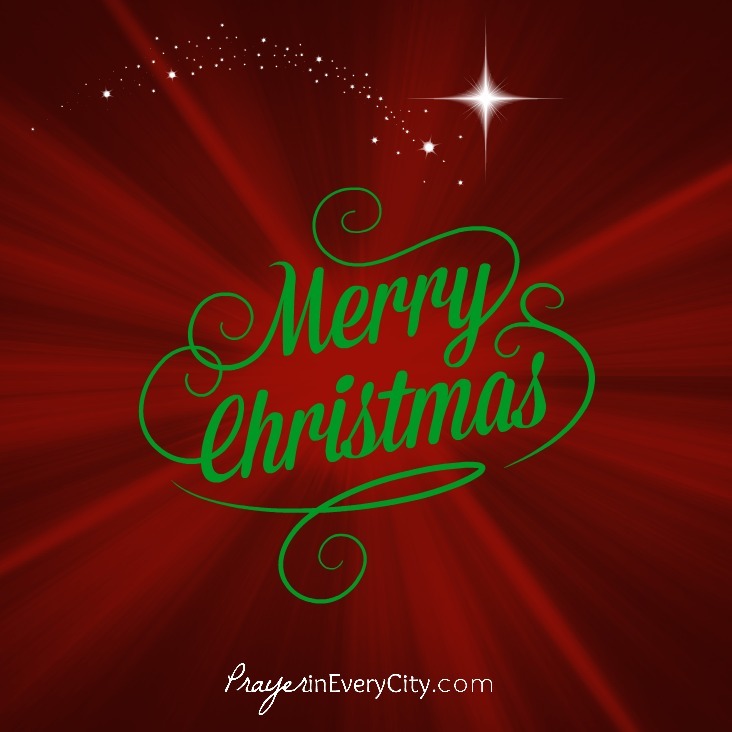 Prayer in Every City would like to wish all our followers a Merry Christmas. May the Lord bless you and your families richly this Christmas season. Thank you, Jesus, that You are King of kings and Lord of lords. Everlasting Father and Prince of Peace. and for shedding Your innocent blood for our salvation. We pray for peace on earth and good will toward men at Your Second Coming. and cause your sun to rise on the evil and the good. You send rain on the righteous and the unrighteous. We pray that You will humble our hearts this holiday season. Please help Your church to turn from our sin and seek Your face. Help us this Christmas season to be generous to the orphans, widows and homeless. help us to support the weak. Help us remember that it is more blessed to give than to receive. Enable us as Christians to be the salt of the earth and let our light shine before men. Please forgive the church in America for being lazy, sinful and powerless. Help empower us to pray for all men to be saved. Teach us to be witnesses for You in our neighborhoods, schools and communities. Daily remind us what Christmas is all about. Help us to not be caught up in the chaos of this holiday season.